We have had a few bitterly cold days this winter and it was on one of them that saw me tackle my local river, primarily after Chub. It was late morning by the time I had sorted myself out. I starting off with red maggot under a stick float, but it was unusually tough going and I couldn’t buy a bite. So after moving slowly down river nearing the end of the stretch I decided to switch to a Lobworm on a long light link ledger. After 30 minutes the rod tip registered the only bite of the day and I managed a small Brown Trout which saved a blank. The following week found me with 3 hours spare, so I ventured a mile or so further up stream to a stretch that would allow me to run a stick float easily enough. The day was warmer and the previous nights rain meant the river was slightly up with a little colour left in it. The conditions looked good for a fish or two. Again I struggled for a bite, but persevered knowing I only had a short time. Finally, as time was running out, towards the end of the run the float dipped and I connected with a plump Chub that saved the day. Red maggot doing the trick this time. I spent the afternoon on the river Loddon yesterday. 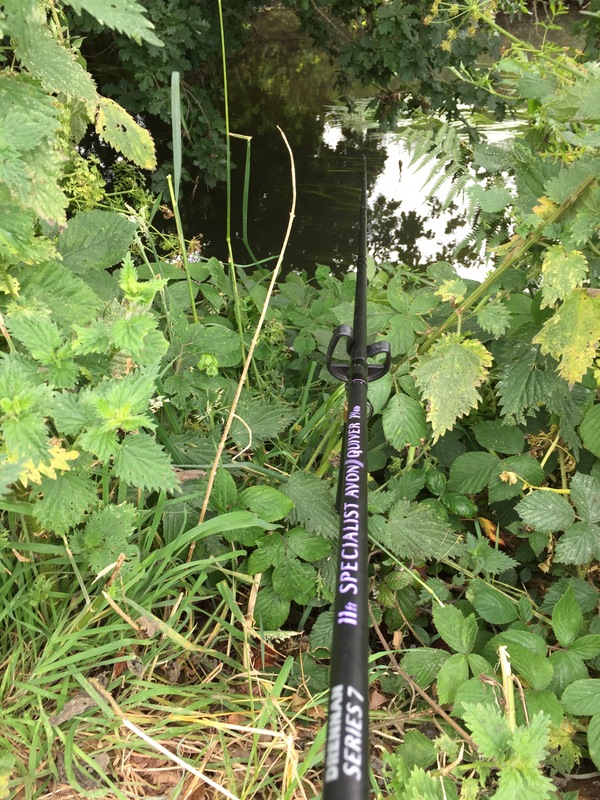 Equipped with light feeder rod and Lobworms for bait, the idea was to roam the short stretch looking for overhanging cover that a Chub or big Perch might be hiding under. 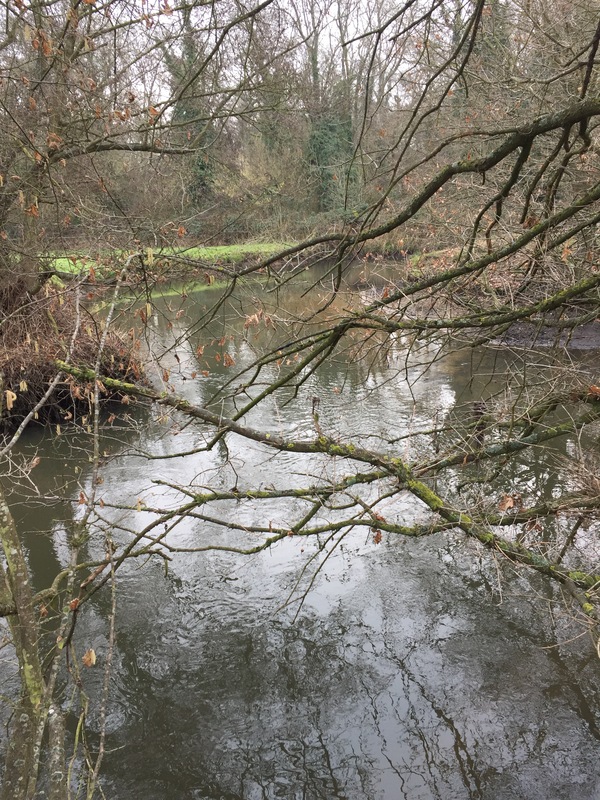 This stretch of the Loddon has recently seen some bank side trees and snags removed which has certainly made this river more challenging and even more difficult to find the fish. The weather though was on my side and mild for January with overcast sky. Eventually I settled into a spot and after 20 minutes the line tightened and the rod tip moved millimetres but was enough for me to see the bite. The resulting fish was a hard fighting Chub. Deciding to stay in the swim, another Lobworm went out. This time the bite was easier to spot. On the strike the rod wrapped round and the hooked Pike briefly tail walked before I was able to turn and guide it into the waiting net. On my last trip I also managed to land a Pike and it’s good sport if you can avoid your line from coming in contact with those sharp teeth. As the light was fading a nice looking Perch of just under two pounds took a liking to the worm. This rounded off a very enjoyable few hours fishing. I might have mentioned it before but I love my local river Blackwater. It offers many things to me: time to unwind, reflect and refresh. 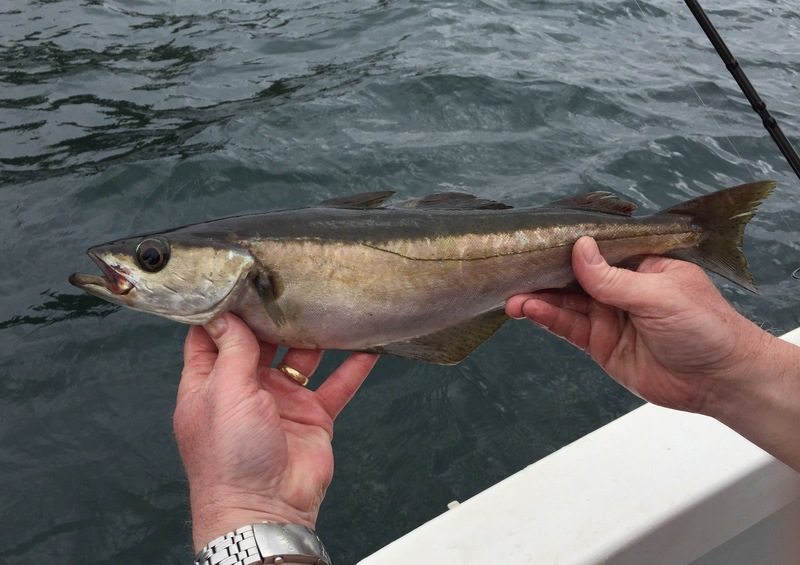 Small, it has a diverse variety of fish species that can be tempted with trotting, light ledger and lure tactics. This is where I have spent my last 6 months fishing, and really enjoyed it. My style of fishing has changed over the years. It used to be spent largely in pursuit of Carp dedicated to a specific lake targeting the old strains that live within. The last 10 years has seen me target more species that has taken me to a wider variety of waters to fish for them. 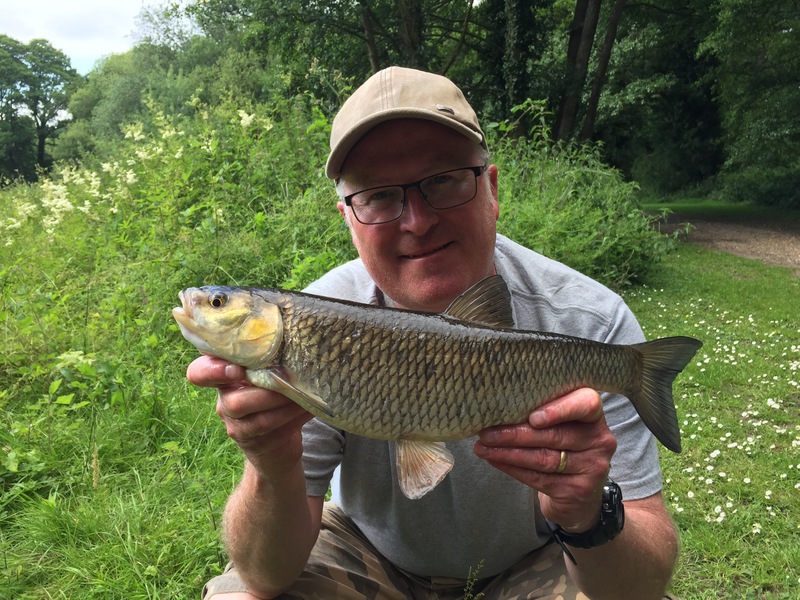 This change in my fishing style has suited my current work and family commitments and the last 6 months has been made up of short day sessions of between two and six hours – roving the river, mainly in search of Chub. Here is a small montage of some of the fish caught from the river Blackwater since August. I am looking forward to 2018 and can only hope to dedicate more of my time to my hobby. I flicked the banded pellet beyond the streamer weed avoiding the low lying branches from a fallen Willow, that had been felled by last years storms. The bait is aided by the current gently taking it under the branches that offer the shelter Chub desire. This is the scene I find myself in. Gripped by the tension of the moment, knowing that my cast had found the ‘spot’. It would only be a matter of time, seconds even, before the rod tip wrapped round. Wow, I love fishing tiny rivers, I can get my fix almost instantly. 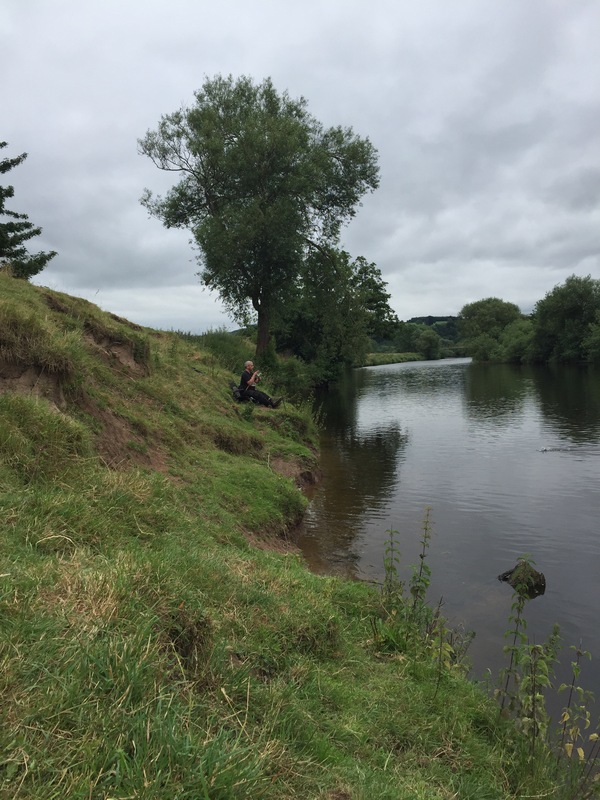 The last day of the month had arrived and an early start found my brother-in-law Ber and myself heading along the M4 motorway for a days fishing on the River Wye. 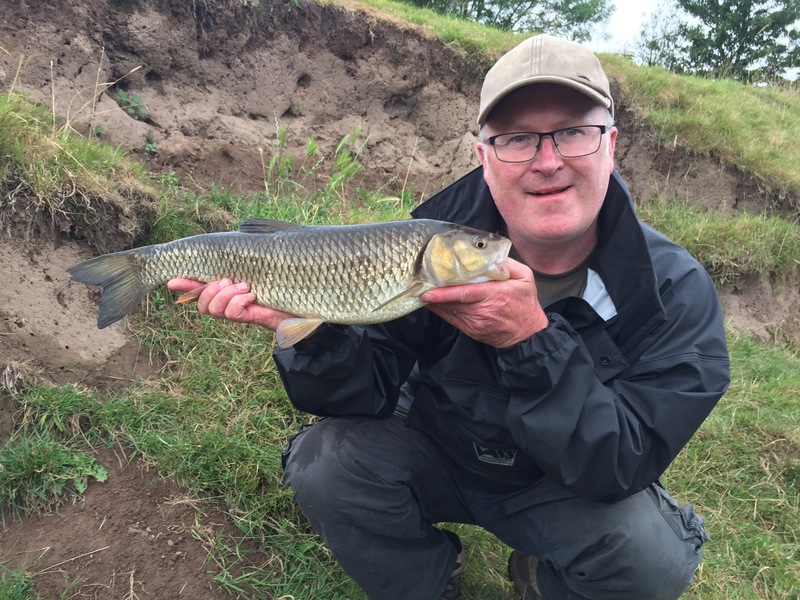 Our chosen quarry today was Barbel, with some Chub thrown in if we’re lucky. Arriving at our destination in good time, we selected just enough tackle, bait and refreshment to keep us going for the day. Choosing a feeder fishing approach meant we would leave the float gear in the car just in case we needed a change of tact later in the day. We traced the path down to the river and found it coloured from the previous days rain and with enough flow to offer us encouragement. Walking three fields down river to the end of the beat, our idea was to work our way back up during the day until we found the fish. Tackle for the Wye needs to be strong. 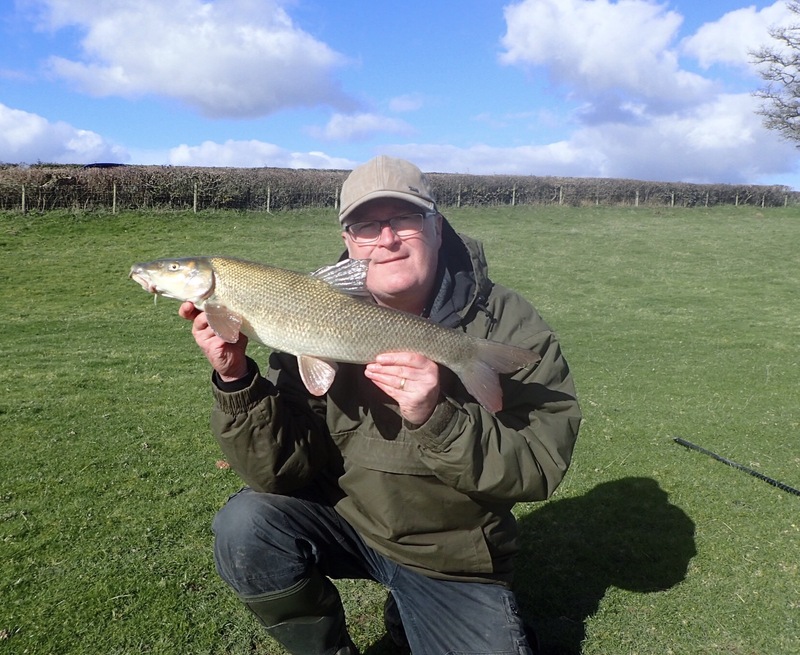 On the day we chose a 1 3/4 lb test Barbel rod each, 4000 sized reel, 12 lb line and 3oz feeders packed with Groundbait and pellet. Ber started on hair-rigged boilie and I started with hair-rigged pellet. It wasn’t long before Ber started getting line bites indicating that fish were in his swim and eventually he had the bite that gave him the first fish of the day; a nice Chub of about 4 pounds to get the session off to a great start. He was obviously on a roll as his next fish was a nice Barbel that didn’t want to be photographed for the album. 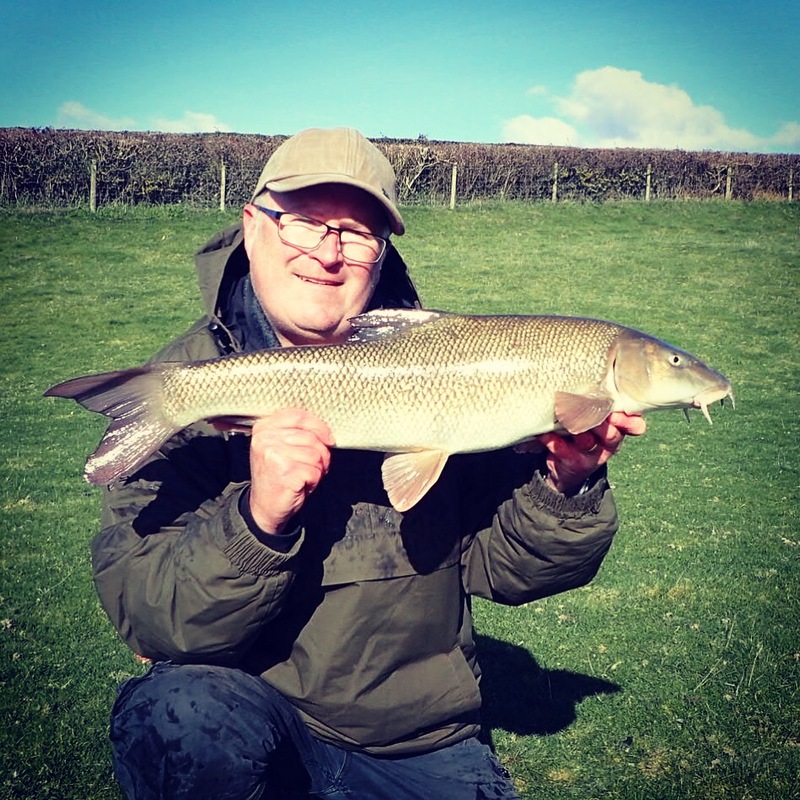 This was his first ever Barbel, and well, needless to say he was a happy man. 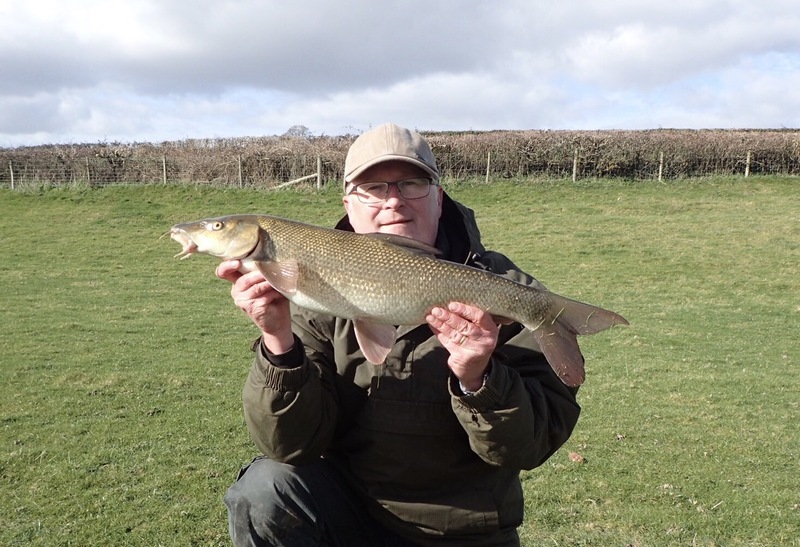 A great Barbel for Ber that wasn’t camera shy! We stayed on our spots a while longer but the bites dried up so we eventually decided it was time to trace our steps back up river to find a more productive area. The banks on this river are steep in places and it can make them quite treacherous at times especially after rain. It does make you ask questions about safety and if the river was flowing faster then it would be wise to wear life preserves in future. Eventually finding a spot in the church field offering access to some deeper water we settled in and cast out baits towards the far bank. Ber was instantly into another Chub and this was the signal for me to change from hair-rigged pellet to boilie wrapped in paste. 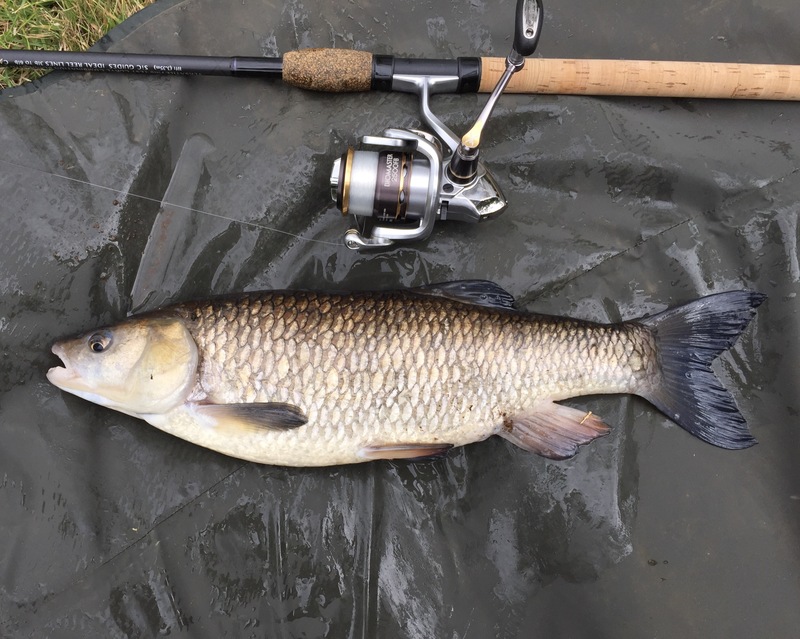 Quickly I landed a Chub to kick start my session. This subtle bait swap made all the difference and is a reminder to change things up when the going gets slow. 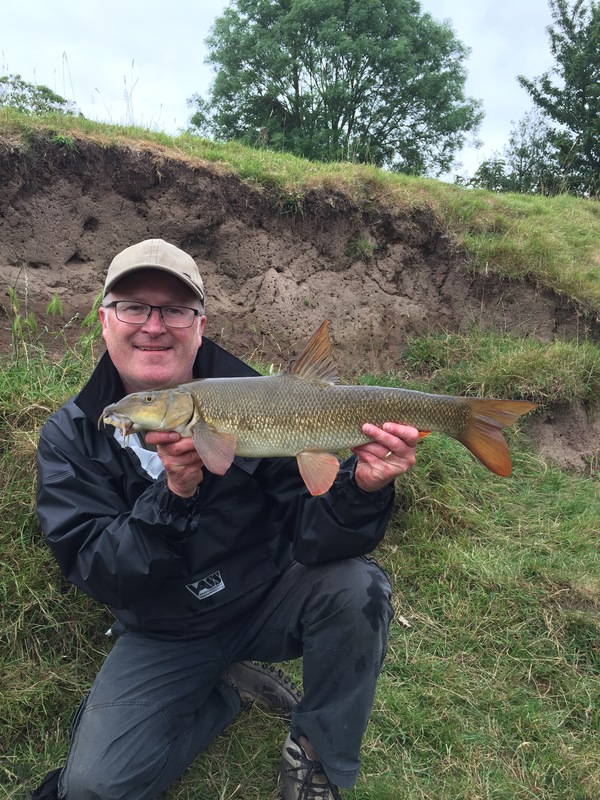 From here on in it was non-stop action with Barbel and Chub coming to almost every cast. Ber even mangaged a couple of quality Roach that made his day. 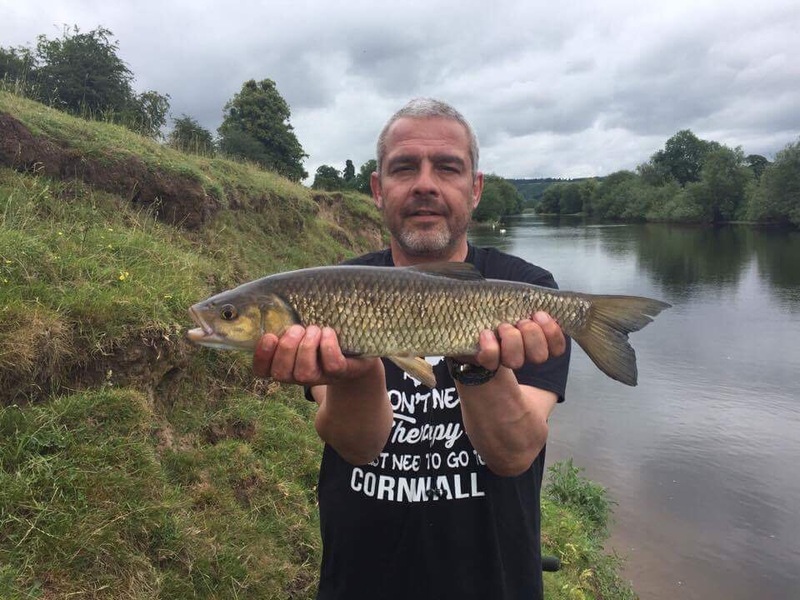 We managed nine Barbel to over seven pounds and sixteen Chub to just under five pounds between us, reminding us why we love fishing the Wye. We called it a day at 5:30pm and could have stayed longer and continued to catch but the fishing Gods had been kind and we wanted to keep something in the bank for when we return later in the season. So with the on-set of the traditional fishing season I planned my regular trip with my mate Craig to Frensham Big Pond. 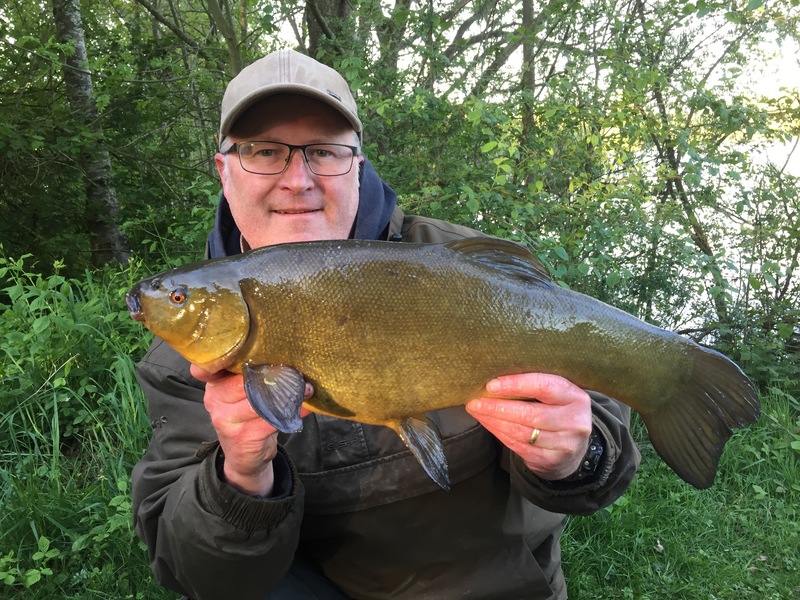 Fishing the ‘first night’ of the season for the Tench is something we have done for many years and we have had some real bumper sessions in the past with the Tench being relatively easy to catch; if in the mood. 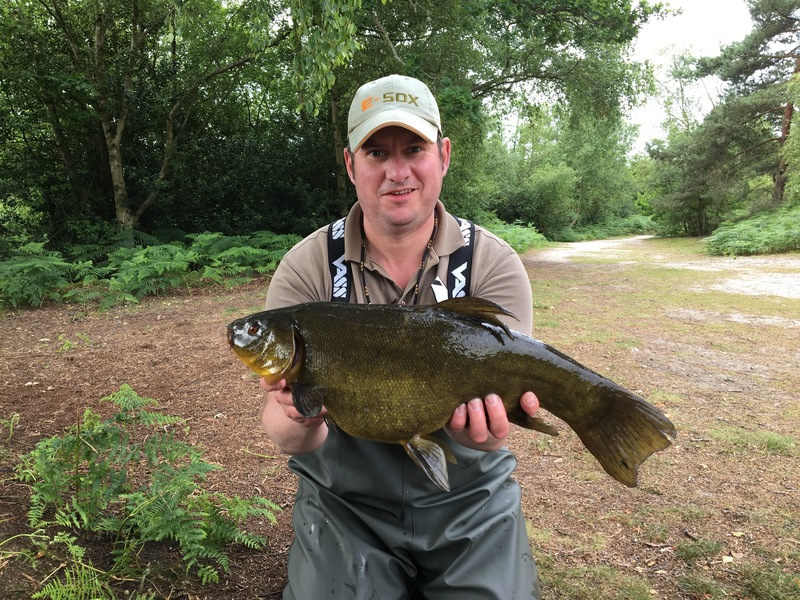 However, this year the weather has been hot leading up to the 16th and with the water temperature slowly rising it meant the Tench had other things on their mind. The reeds that line this beautiful lake offer perfect sanctuary for spawning fish and as the sun slowly rose over the Surrey hills they started to explode into life echoing the sounds of crashing fish going about their business. In the next couple of hours the spawning activity increased and with that our spirits dropped. This normally spells the end of any fish feeding, but one of Craig’s rods burst into life and he managed a nice plump 6.02 lb Tench followed shortly by a low 5 lb fish. However this proved to be the end of any further action and we decided that it was best to let them be and come back for a go later next month. 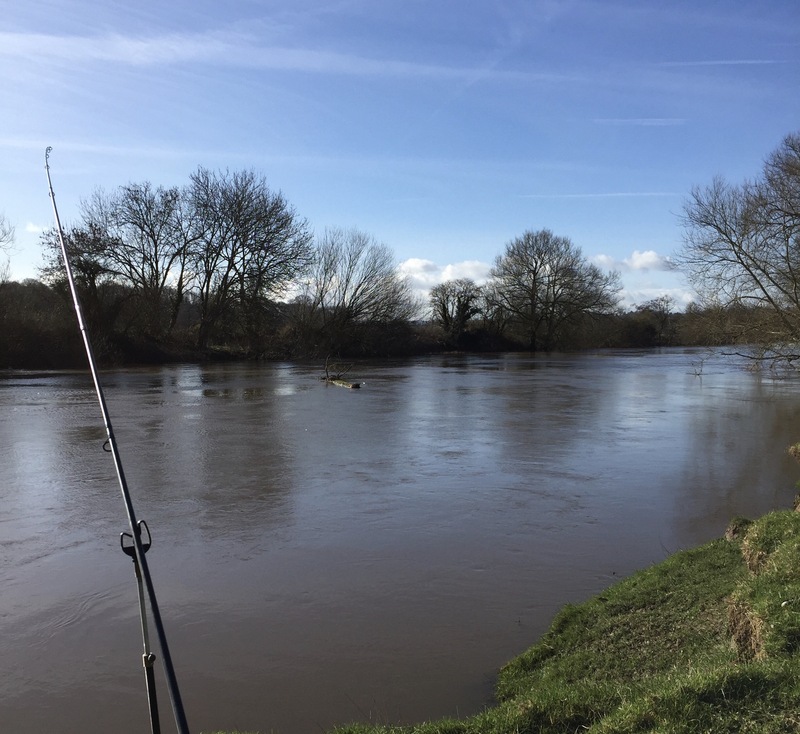 Not wanting to give up so easily, and anyway, with the river season now open we decided to give our local River Blackwater a go. 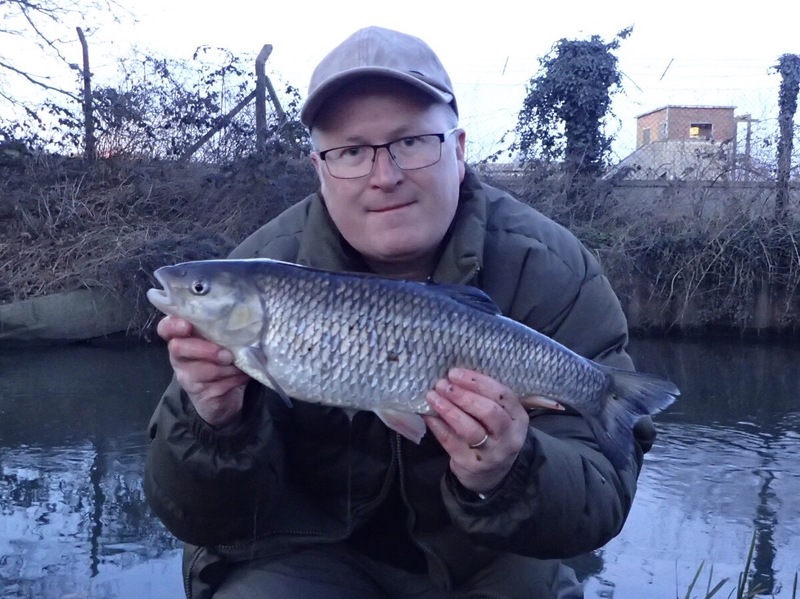 After a spot of lunch and change of tackle it wasn’t long before I was flicking out a piece of bread flake on a light ledgered set-up to any passing Chub that might be on the look out for an early season snack. The secret to this type of fishing, as I have mentioned before, is to travel light and keep very stealthy. 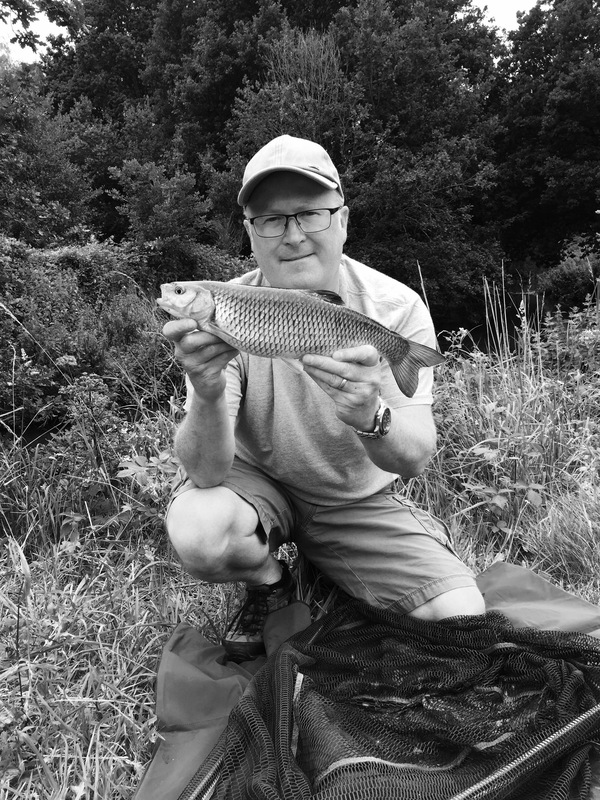 Wearing polarised sunglasses makes spotting fish easier and it wasn’t too long before a couple of Chub came to the net saving a blank on the day. A week later three hours on a different section of the river was enough to give me my fix. Again the weather was hot and clammy, but I managed to find some Chub under a tree sheltering from the rays. Switching from bread flake to pellet produced an instant bite that snagged me in the low lying branches of the tree. Retrieving my terminal tackle and replacing the damaged line gave the swim enough time to settle. I was sure there was another chance. This proved to be the case as the tip swung round within seconds and this time I managed to guide the Chub into the waiting net. Although smaller than the one I lost earlier I was still happy with the end result. It’s happened again. Same time every year. I start off with every intention of dedicating more time to my spring fishing but the reality is, time has beaten me again! 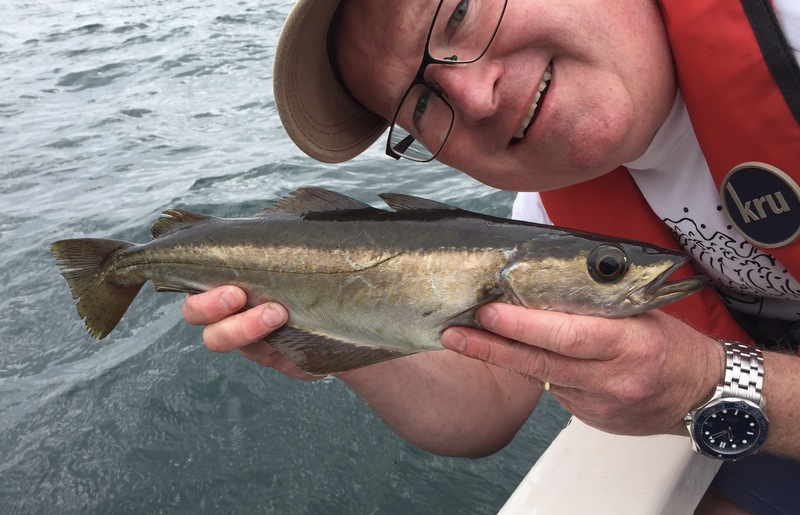 You see, in my line of business, this is the busiest time of year and coupled with some family milestones in May and June, it has meant time for fishing has been tight to say the least. Anyway, after that little moan I can recap on what has happened in the last four weeks. The last days of April saw me spending a few hours on my local gravel pit after the Tench. This has been very enjoyable over the previous few weeks and this day was no different. Setting up in a narrow swim fishing Maggot Feeder on one rod and Method Feeder on the other, I managed two fish. Both caught using worm hair rigs with maggot and chopped worm in the feeder. Fishing no more that one rod length out meant I was also able to loose feed a few maggots accurately over the the spot. 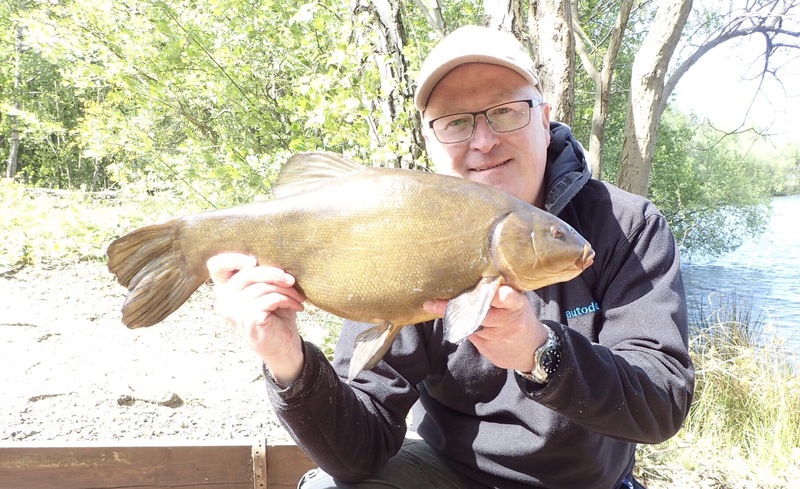 Mid May saw my mate Craig and I head up to Oxfordshire on our annual visit to fish for Tench at Linear Fisheries Hardwick Lake. This is always a very enjoyable couple of days, mainly focused on the social side of fishing, but always serious about catching one of the lakes largest Tench. This year was a little more challenging than usual but I managed a Tench to 7:08 lb and Carp to mid double. 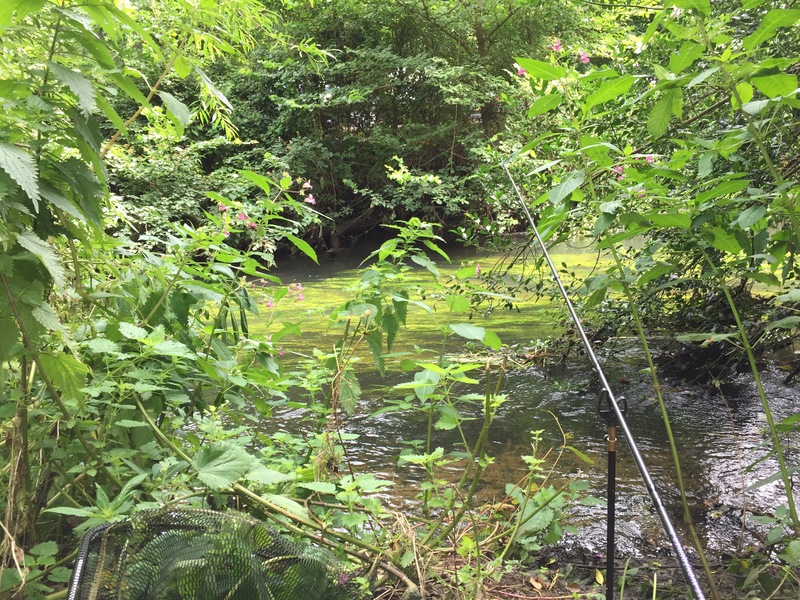 Losing what felt like a bigger Tench in the weed was frustrating, but when faced with fishing this type of weedy gravel pit, loosing the odd fish can happen. Tackle and bait selection was similar to the approach used at my local gravel pit and I will write a separate blog about this in the near future. Needless to say hair rigged worm with chopped worm and groundbait in the feeders was the winning combination again. The last few days in May found myself and the family travelling down to Cornwall to celebrate my mothers birthday. It was an opportunity to get out on the boat and dust off the lure rods. 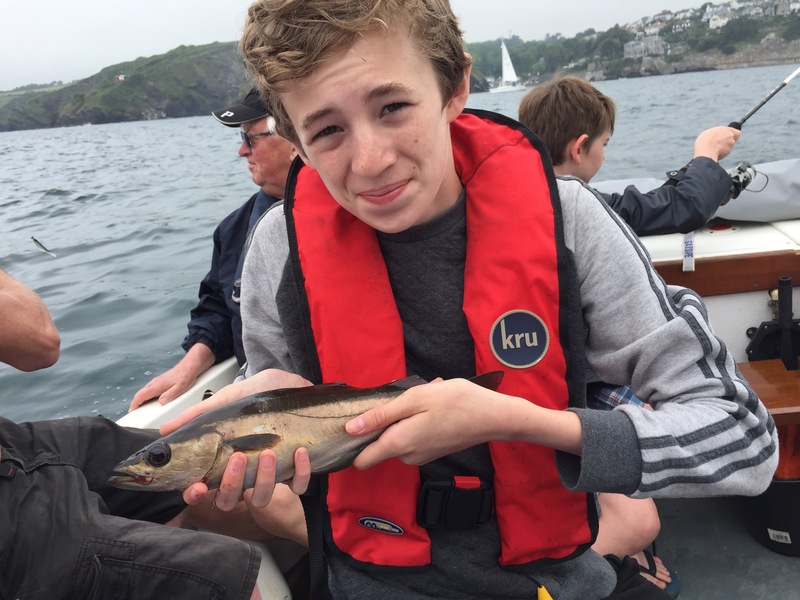 Again, the window of opportunity was small and the boat was full but we did enjoy ourselves getting into the Pollock. Sadly no Bass were located, but it was very enjoyable to see Henry get the first fish of the day. This set the tone for the next couple of hours. With the 16th of June only round the corner I am looking forward to getting onto the rivers and hope that my busy work and social calendar opens up for me! As the days gradually get longer my attentions switch to Tench. So equipped with feeder rods I head to a local a gravel pit lake that holds some of the intended species. One of the modern ‘problems’ of fishing for tench this way means that there is a chance of Carp being caught. They tend to be the dominant species in most gravel pits; well certainly in my area of the country. 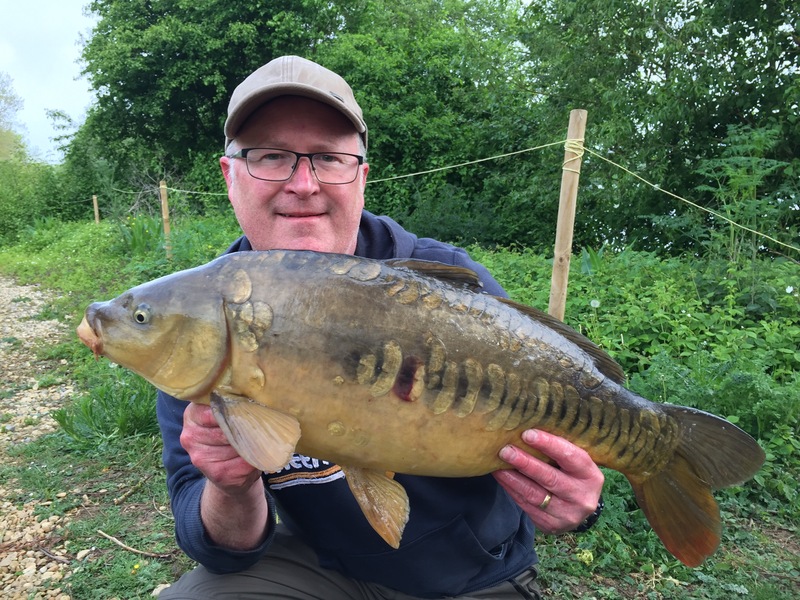 Now I am not averse to catching the odd carp, as Carp fishing made up nearly 100% of my fishing for over twenty years. But it does mean your tackle has to be strong enough to cope with landing them, especially if a lot of weed is present. This means most of my gravel pit Tench fishing is angled for using a pair of 1 3/4 lb test curve rods and 4000 size bait runner reels loaded with 10lb monofilament. Typically in April the water temperatures are still quite cool and I generally opt for a minimal feed option, as opposed to an all out heavy partical approach. 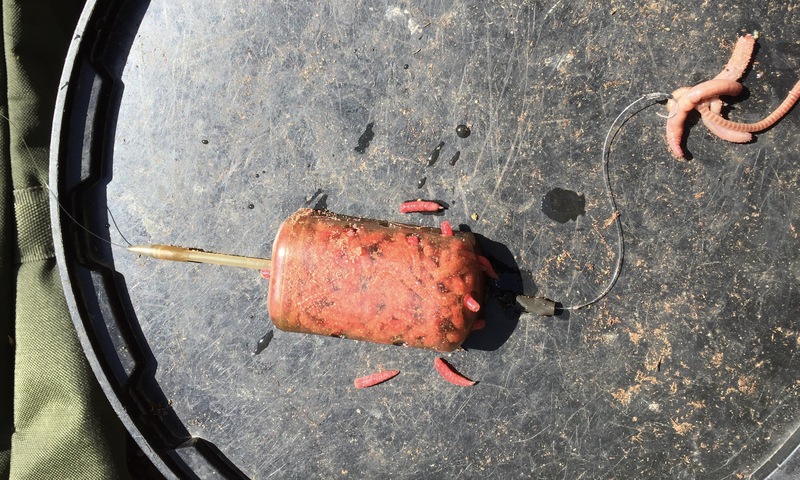 This means Groundbait Method feeders with hair rigged mini boilies or Maggot feeders with hair rigged maggot or worm. These feeders are fished in-line and cast every 20 minutes to start with and then, after a couple of hours, every 40 minutes. This means there is enough feed in the swim to attract and encourage the Tench to feed, but not too much to fill them up and bring the Carp in. Arriving at the lake at just before 7:30 I spent 20 minutes looking for signs of fish, such as rolling or bubbles. There was a little Carp activity around and eventually saw what I thought was possibly a Tench rolling 30 yards out in one corner of the lake. Then another was spotted shortly after the first sighting giving me enough confidence to try the corner swim for the day. Before setting up the tackle I prepared some groundbait for the feeders and put the kettle on. I was settled and fishing within 30 minutes and counting down the time before a recast. I wasn’t expecting early action as it can normally take some time to get enough groundbait out there and it can often be difficult to get a bite at all at this time of year. It wasn’t until after midday that I started to get the odd line bite indicating that something was in the swim. Shortly after 2 pm the right hand rod bite indicator rose to the rod but and the line tightened to the baitrunner. 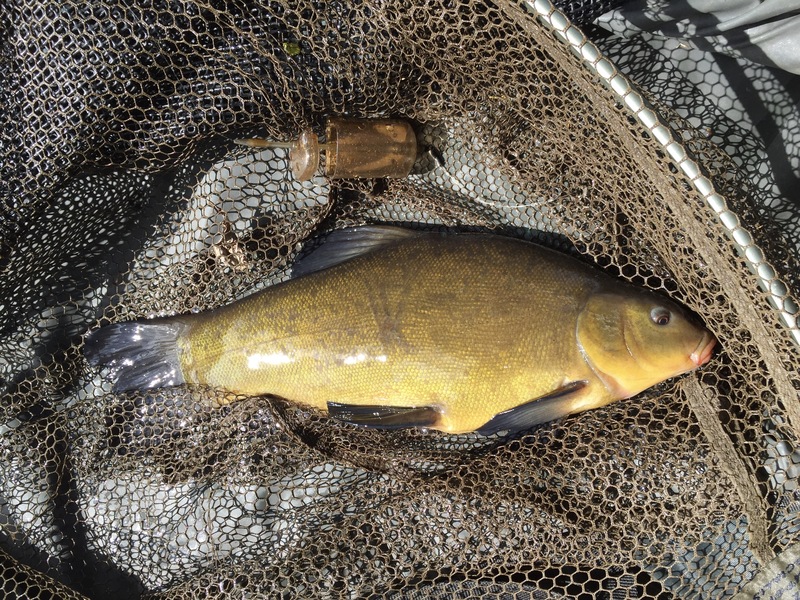 I lifted the rod into a fish and felt the tug tug of my first Tench of the season. 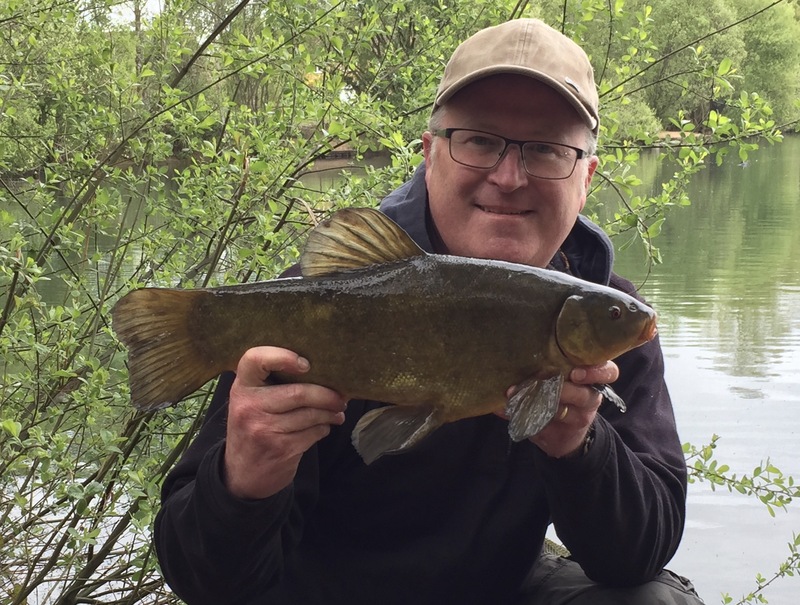 My first Tench of the Season was a 4lb 8oz male caught on a white popped up mini boile with Groundbait Method feeder. Pleased I had got off the mark, it wasn’t long before I was into another one. This time 4lb 2oz and another male fish to the mini boilie. Then 20 minutes later the left hand rod indicated a fast take on the worm rig. Just as this was being netted the other rod registered a bite and I found myself into another Tench. As mentioned earlier being prepared for Carp meant that I had a Carp landing net also set up and it was this that was used to land this second fish. Sitting back in the late April sunshine I was enjoying another cup of tea when the boilie rod indicated another bite. This proved to be another male Tench of 5lb 4oz. Again, just before 6pm and this time on the worm rod, I was into what felt like a heavier fish. This was confirmed on the scales at 5lb 15oz. A great way to finish the day. So, for the record, six Tench to just under 6lb. With the two biggest falling to the worm. 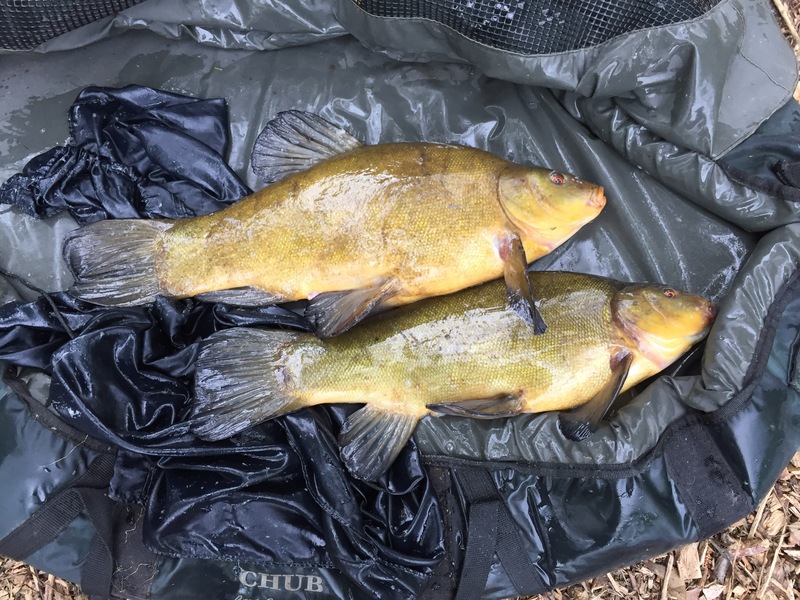 Great start to the Tench season. Can’t wait to return. 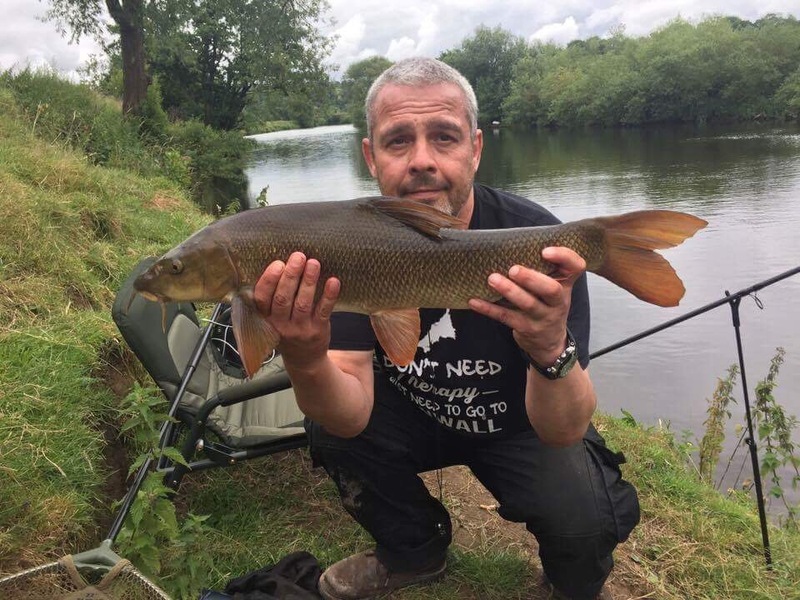 As I eat up the miles on the M4 heading for the Welsh boarders, my mind slowly clears of work distractions and fills with thoughts of hard fighting barbel. My destination today is to be the River Wye, to a section I have not set eyes on before. The fact I have not fished this particular stretch before doesn’t worry me, as I have yet to discover a spot on this magnificent river that has disappointed. 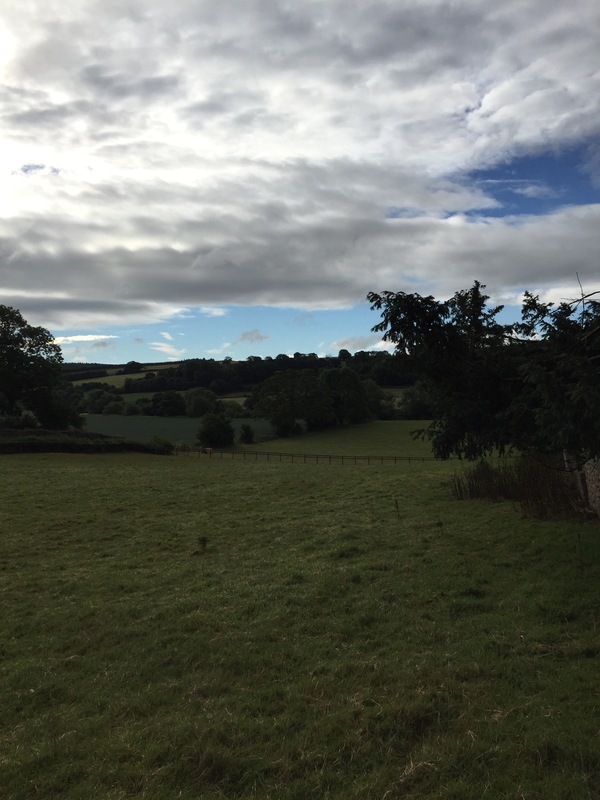 As the car approaches the river’s valley and the lanes narrow, my spirits are lifted higher when I spot an early morning Pheasant, hedge hopping. I slow to take in the surroundings, my GPS tells me I am close to my destination. This is confirmed as I see her meandering through the fields to my right. 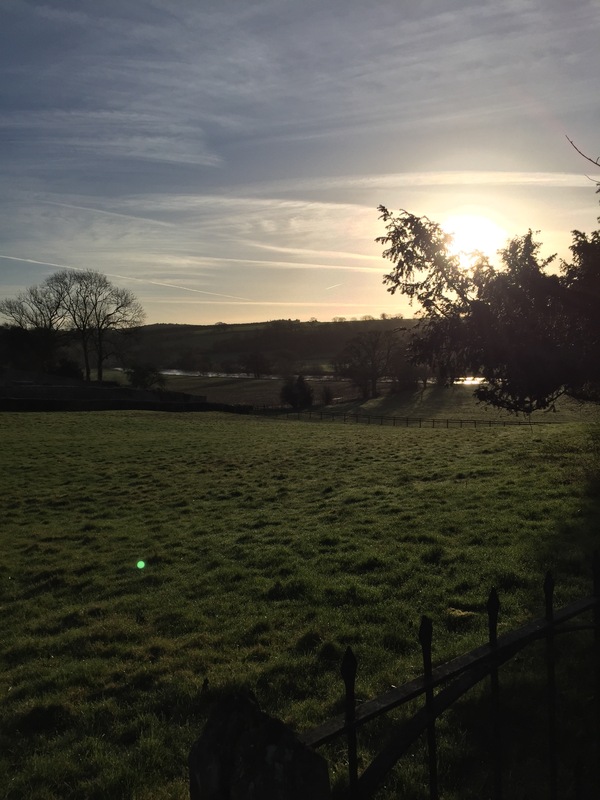 I pull into the car park and look down the field to the river that is a short walk away. As I unpack my tackle from the boot of the car I am conscious of travelling light. When approaching a section of river for the first time there is often a lot of walking involved and it pays to be selective of essential items only. One of these is a flask full of tea and after walking down to the rivers edge it is time to pour a cup. The previous day, Storm Doris had blown through and deposited what must have been a large quantity of rain on the Welsh hills as the river was swollen and pacy. Tackle for the day was a 4oz cage feeder (to hold in the flow), 3ft fluorocarbon hook link, size 8 barbless hook along with my trusty 1 3/4lb barbel rod and 4000 size reel spooled with 10lb breaking strain Gardner Hydro Tuff line. 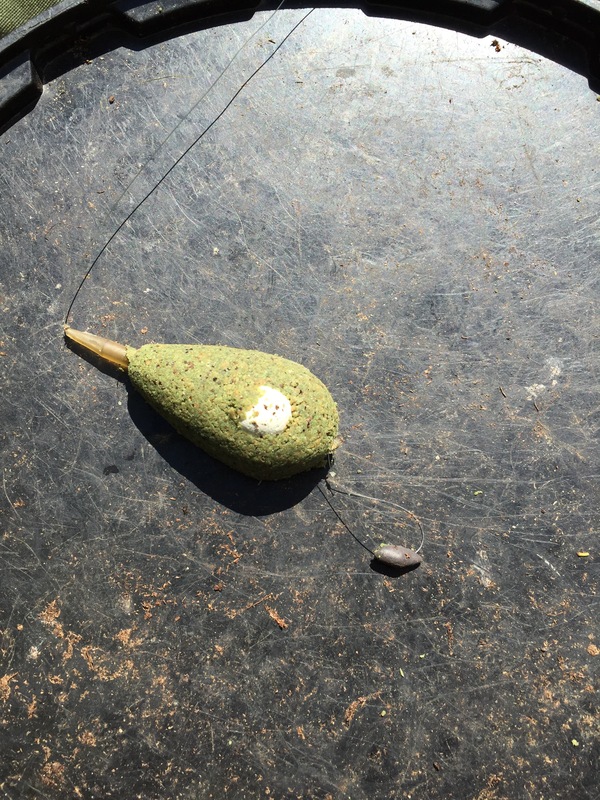 Bait was to be hair rigged pellet and softened pellet in the feeder. Casting out for the first time gave me a good idea of how strong the flow was, and it was clear from the off that I would need to find a more sheltered spot that offered an opportunity for the feeder to hold. Often some dead weed or debris would pull the feeder out of position and you would see large trees floating quickly past you. After about two hours a local dog walker mentioned that the river was about 3 metres up on normal levels and that was after falling 2 metres from the day before. This offered some encouragement as I realised that the level was still falling. 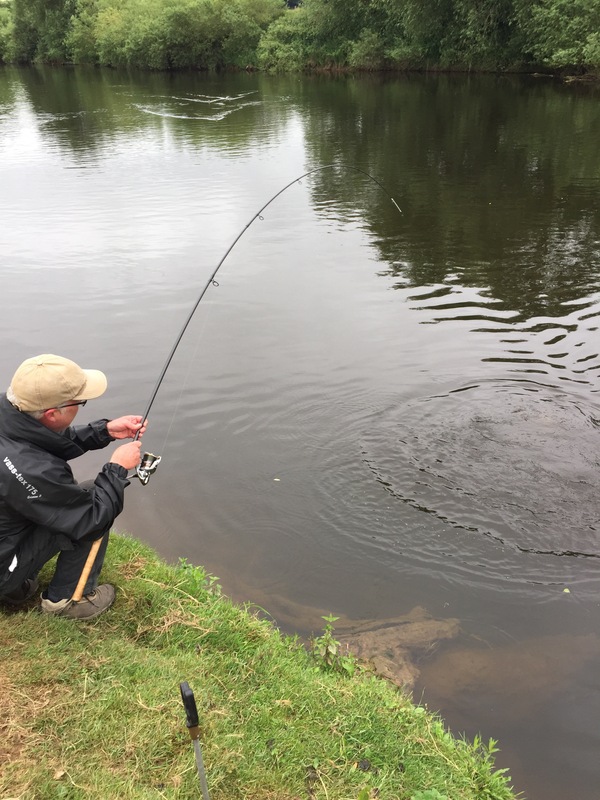 With falling water levels, there appeared to be reduced flow, meaning better presentation and after a short wait from a recast the rod tip registered a bite. 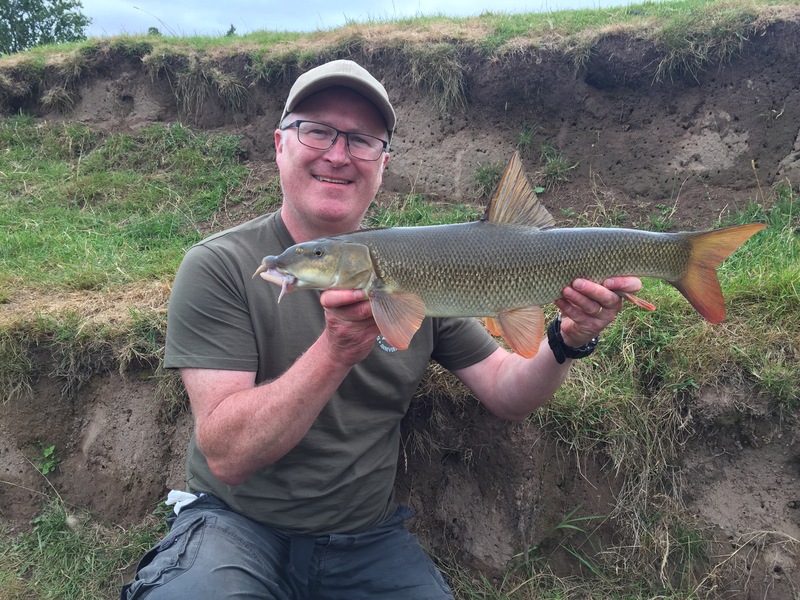 The fight was just what I have come to expect from a Wye barbel and after a spirited battle I slid the net under a pristine fish of 8lb. As the water level dropped further, this first fish was followed, in the next two hours by fish of 5lb 8oz and 6lb 7oz. 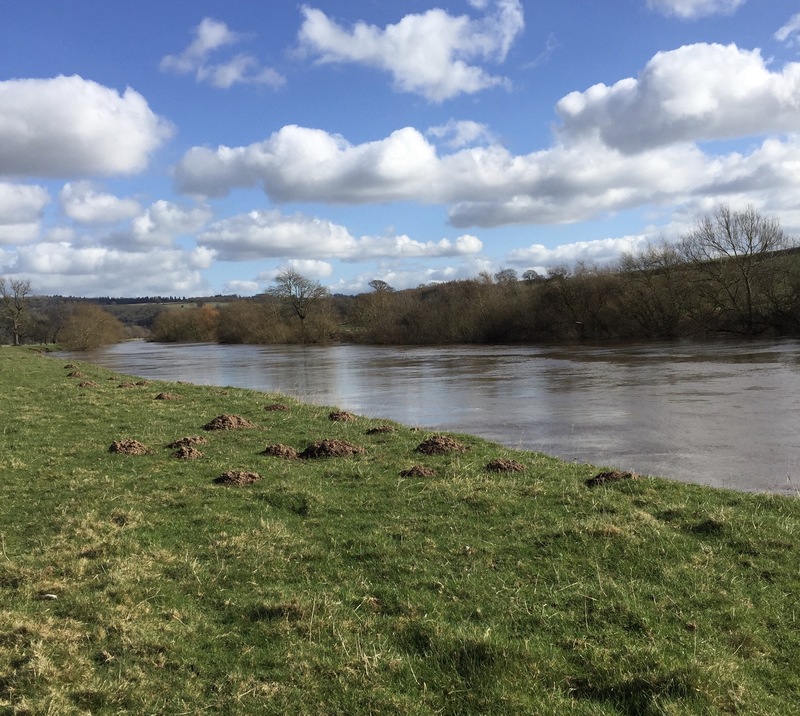 The Wye does what it does best, and that is, deliver the goods with stunning scenery and hard fighting fish. You may ask, why travel so far to fish for a few hours? Do I really need to answer that? With less than a month left before the river season comes to another close I find myself walking the banks of my small local river in search of a chub or two. I have come armed with a light quiver rod and reel, minimal end tackle, net and a ball of cheese paste that has been sitting in the fridge for a month. 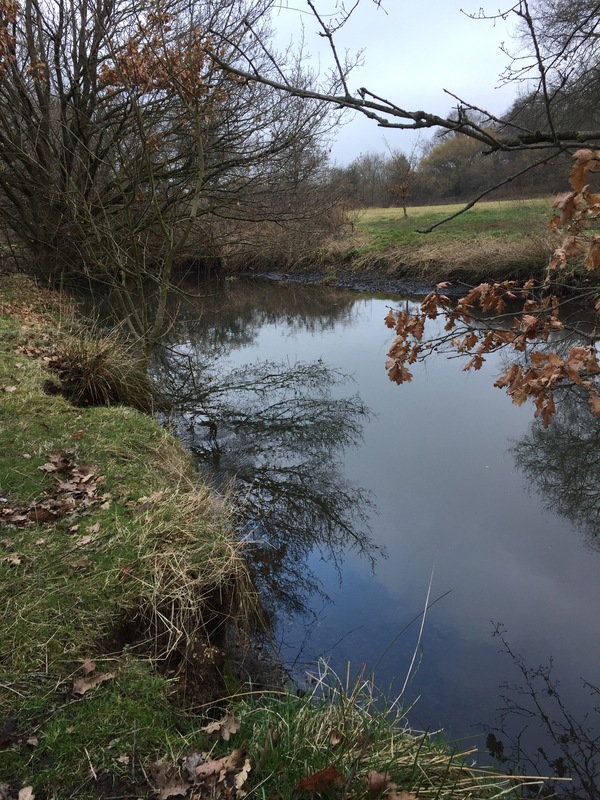 I walk the length of the short stretch, stopping occasionally to peer into the shallow margins looking for signs of chub, or anything else swimming! I might have even thrown a few bits of paste into any chubby looking spots to give them something to think about before I return with baited hook. At the end of the stretch I settle into a swim which is just big enough to flick my light link ledgered cheese paste towards a far bank tree with low overhanging branches. Although this looked like a good spot a bite did not develop. I didn’t hang around too long and after half an hour reeled in to search out another spot. This sequence of events was repeated a couple more times with similar results. With the unseasonably warm afternoon sun beginning to fall behind the trees on the horizon I was starting to wonder if I should have considered another bait option to prevent a blank. Arriving at what was to be my penultimate swim, I flicked out my cheese paste into a deeper hole that I had located on a previous session. After placing the rod on the front rest, the quiver tip settled for a minute before showing a subtle bite which I instantly stuck into. The battle curve of the rod assured me that this was what I had been waiting for. After a spirited fight I slid the net under a plump chub of 4 pounds 7 ounce. With light fading I re-baited and cast into the same hole. I had a feeling that there was a chance of another fish. Shortly afterwards I struck into the tiniest of bites and connected with what felt like a heavier but different fight. The result was a pike of around 6 or 7 pounds hooked fair and square through the top lip. 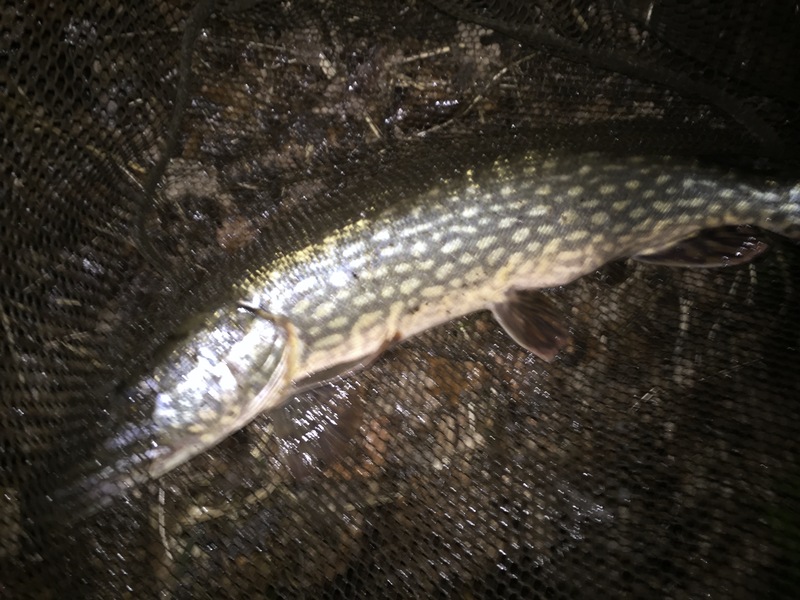 On five separate occasions over the last three months, I have been unable to land the pike that have latched onto roach and dace I had been reeling in on 3 lb float tackle, breaking the line before getting to the net. On this occasion the 6 lb line was kept clear of sharp teeth until in the net. Walking back to the car, wondering why a pike had bothered with my paste, I remembered that I had added a few drops of crab flavouring to the mix to spice things up. Well, it definitely gave me a cheese paste surprise!